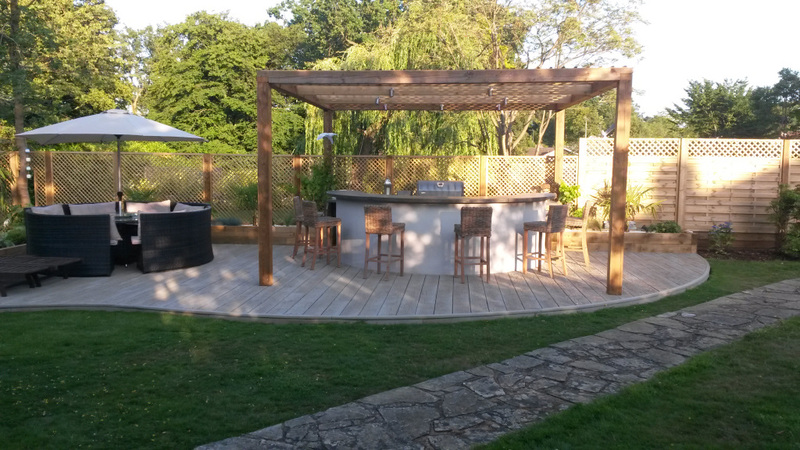 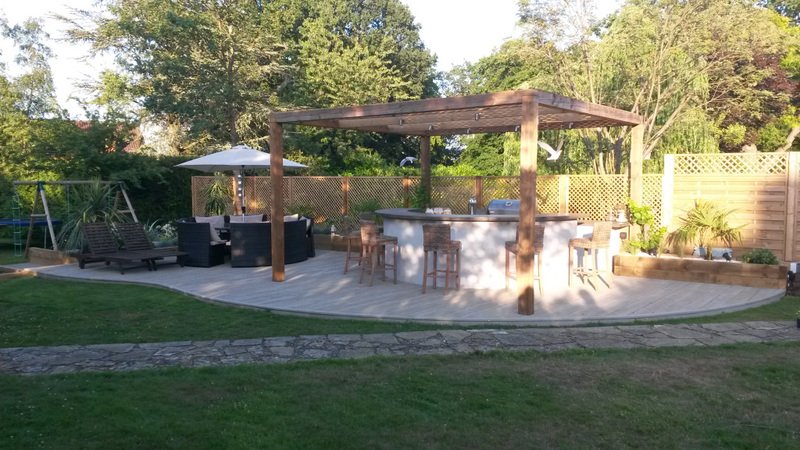 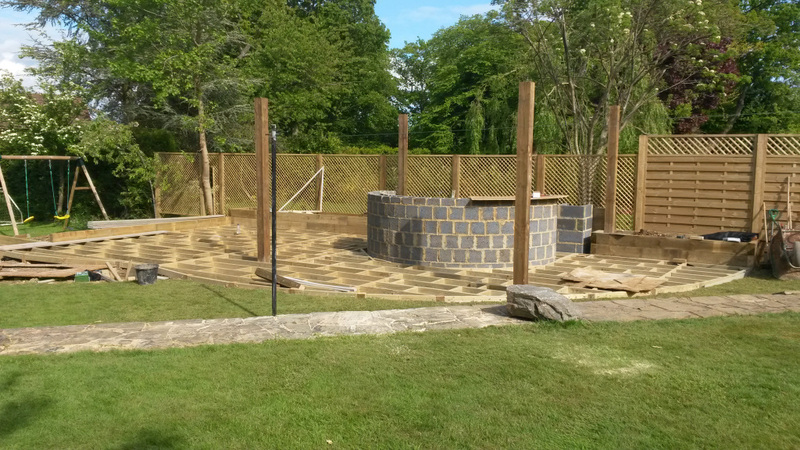 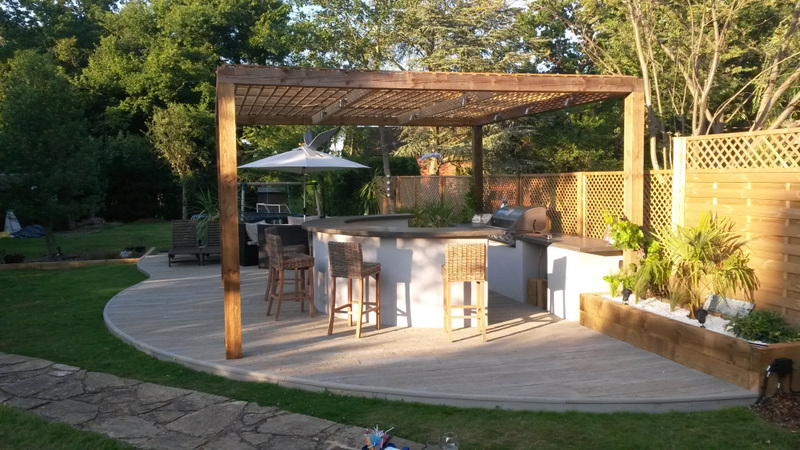 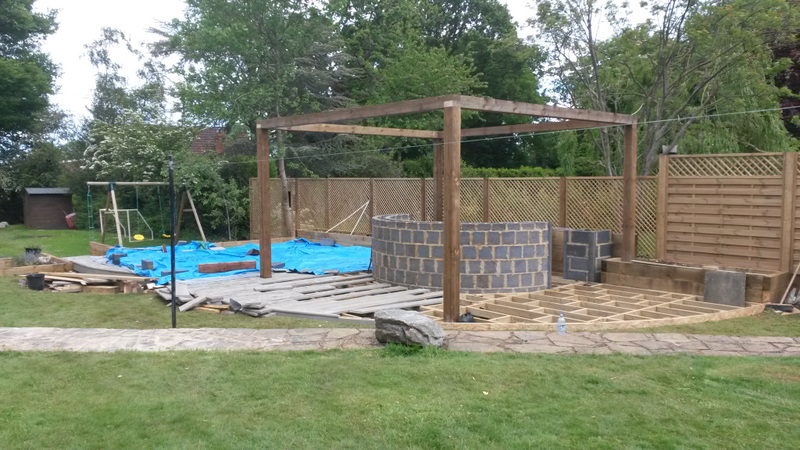 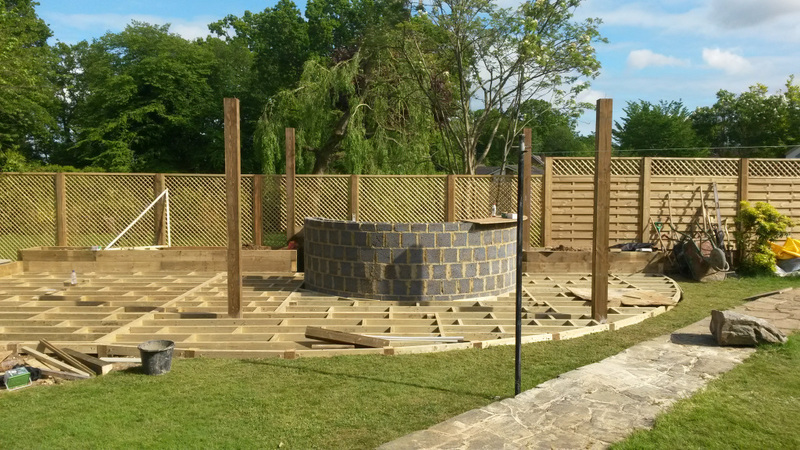 Harpenden in Hertfordshire may not be the first place someone might expect to find a beach bar, however for this particular landscaping project the brief was to create exactly that! 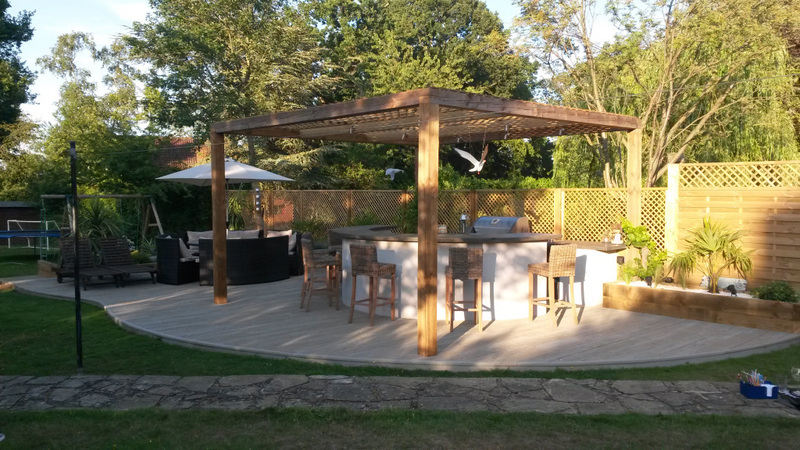 Miles from the sea and just ever so slightly at the mercy of the great British summer we set out to bring a little piece of tropical paradise to the Home Counties. 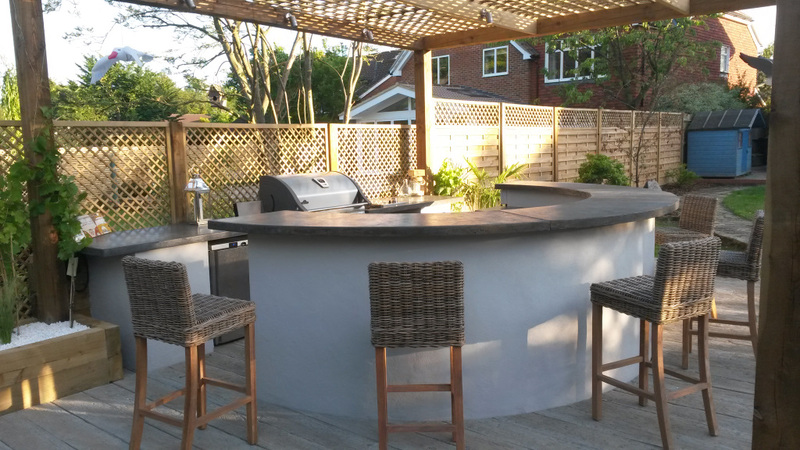 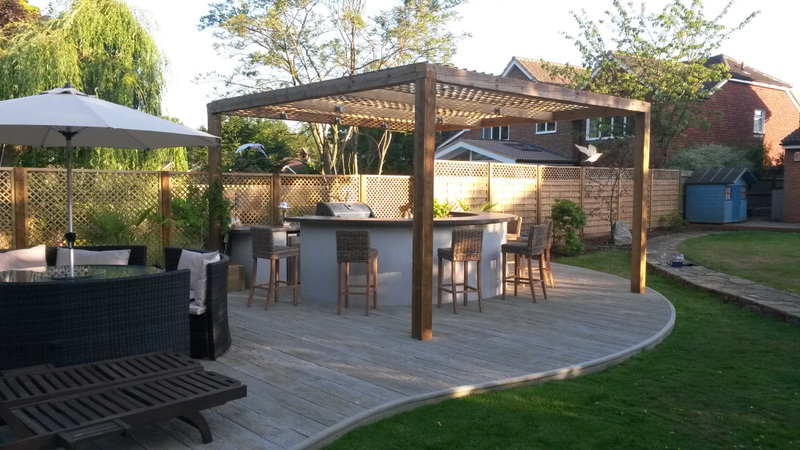 The main elements of the design were a large decking area using driftwood effect composite boards, a bar complete with polished concrete bar top and work surfaces, barbecue, gas stove and refrigerator. 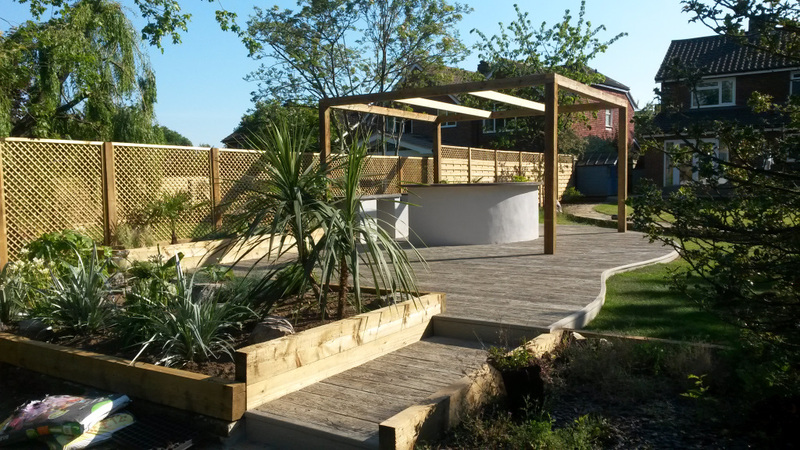 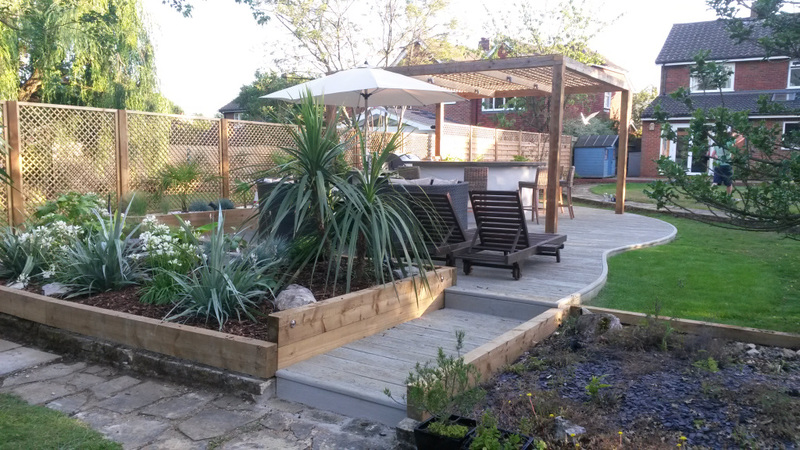 Finally, a heavy duty pergola and exotic planting were added to complete the look. 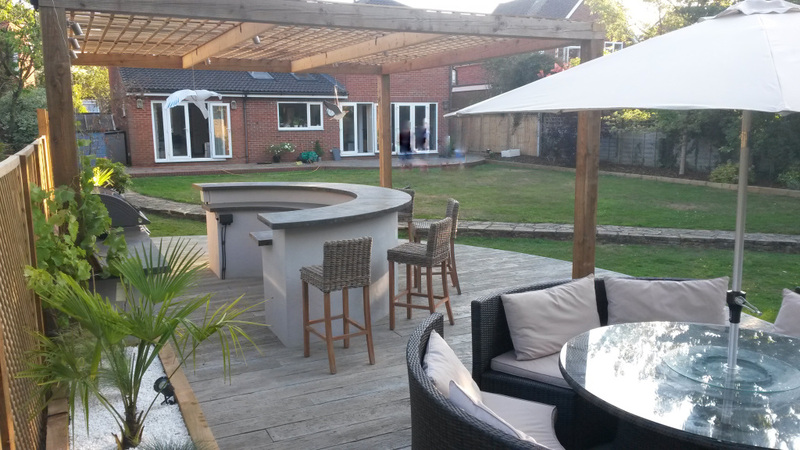 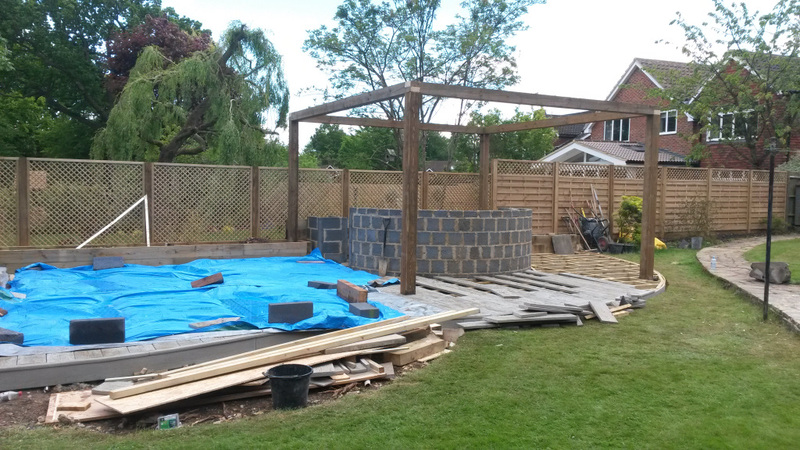 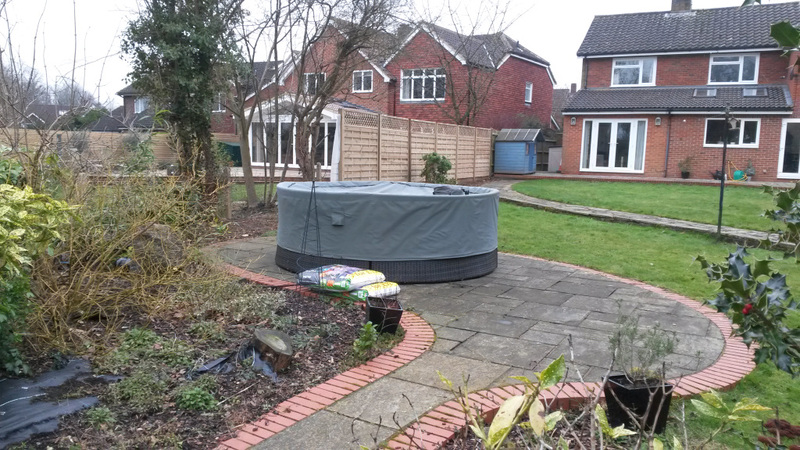 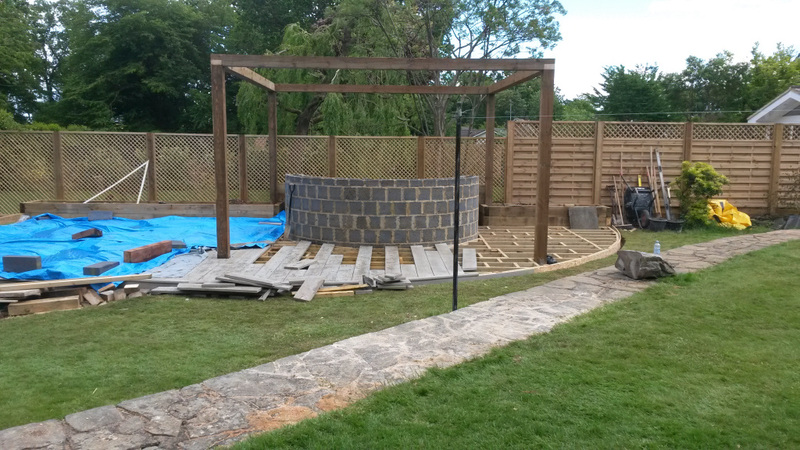 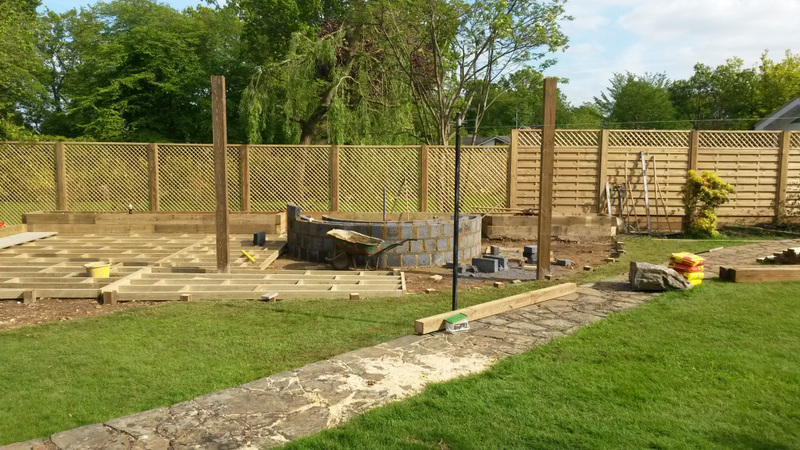 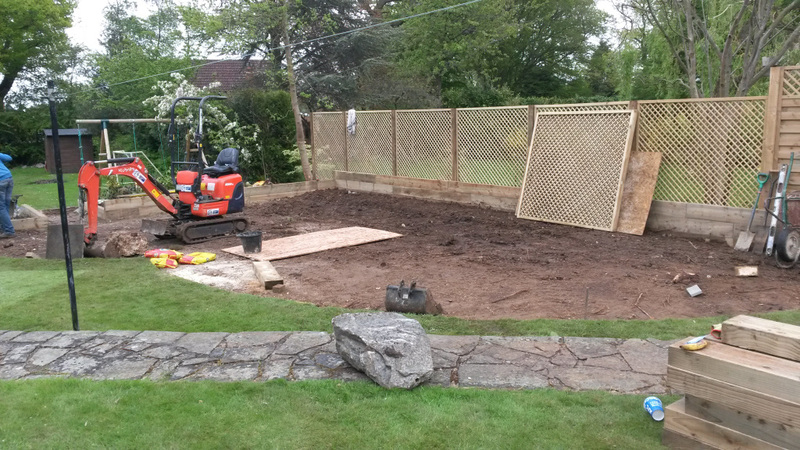 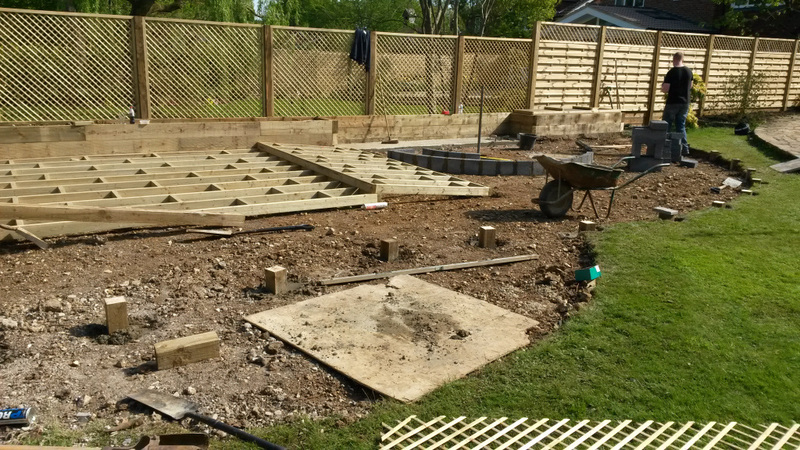 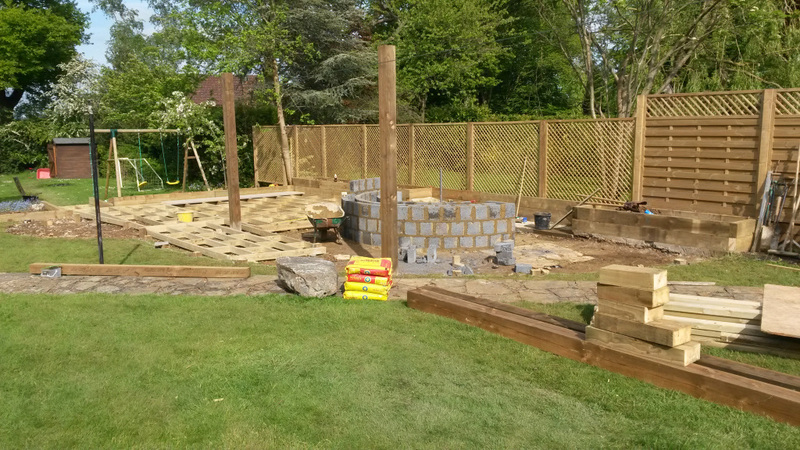 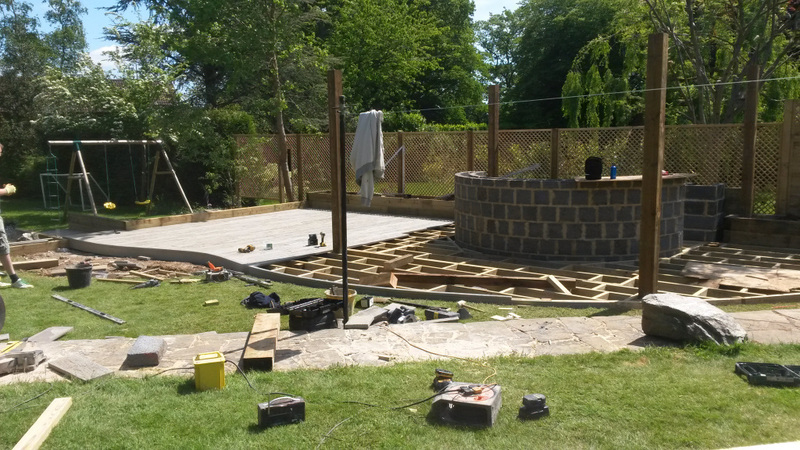 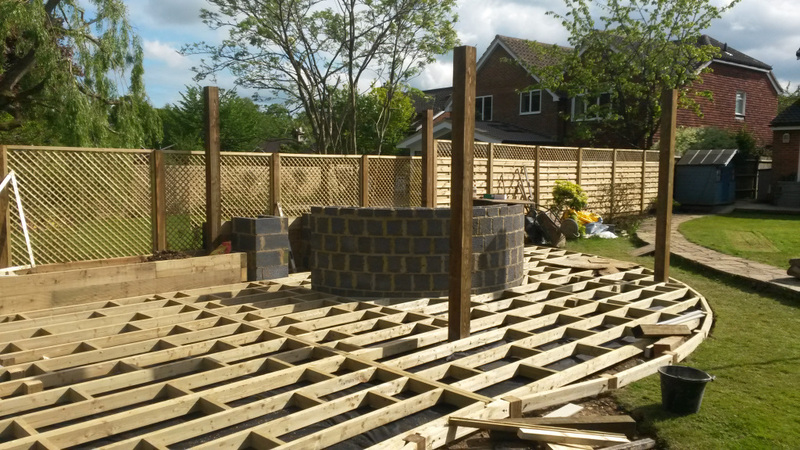 Additional work included trellising, raised sleeper beds and outdoor lighting for those late night parties…..
From a tired patch of lawn with a small area of paving, the gallery below shows the transformation into the outdoor entertainment area. 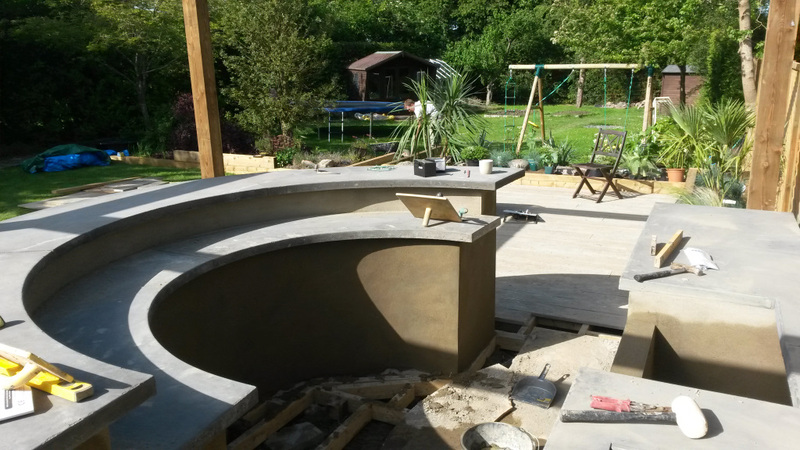 To create the bar surface and work tops all the fabrication was carried out on site. 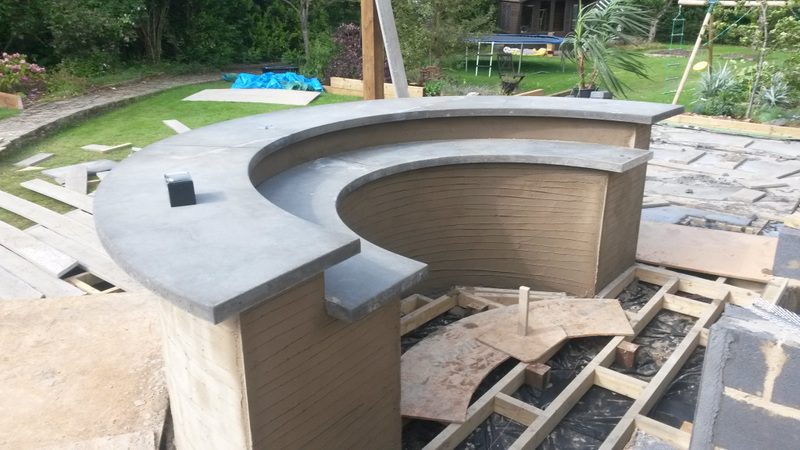 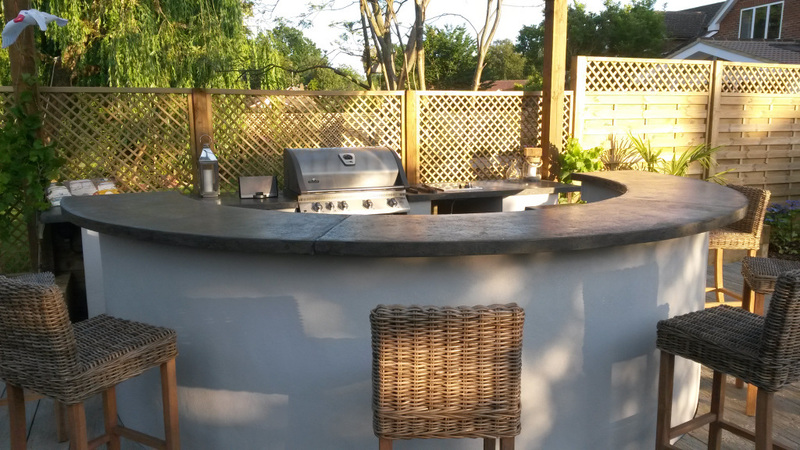 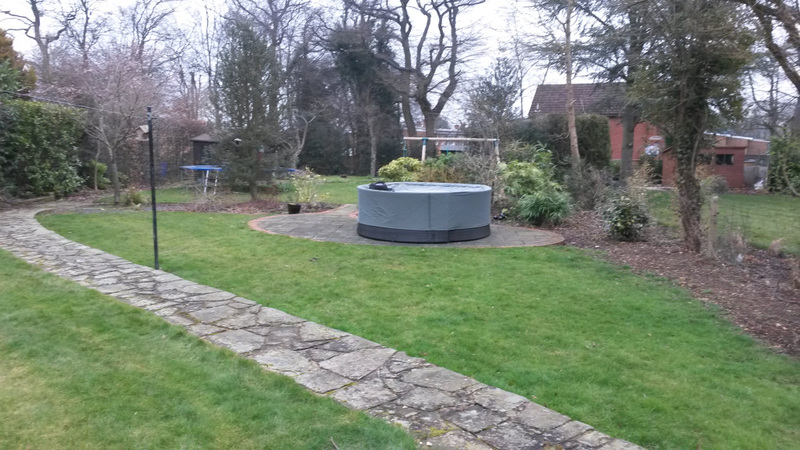 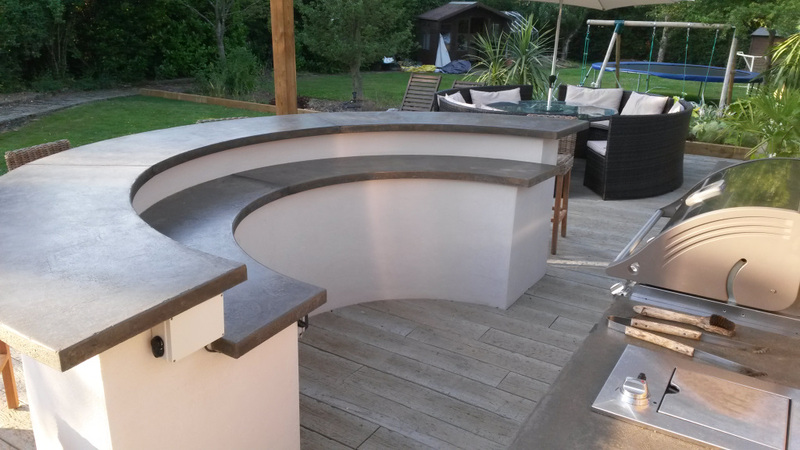 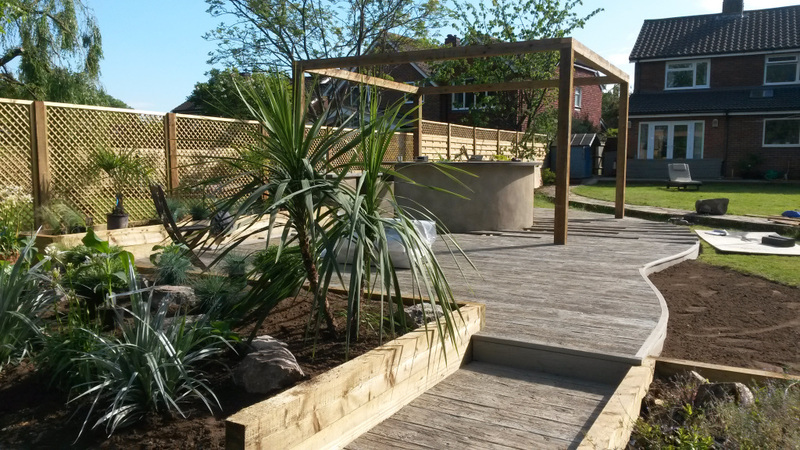 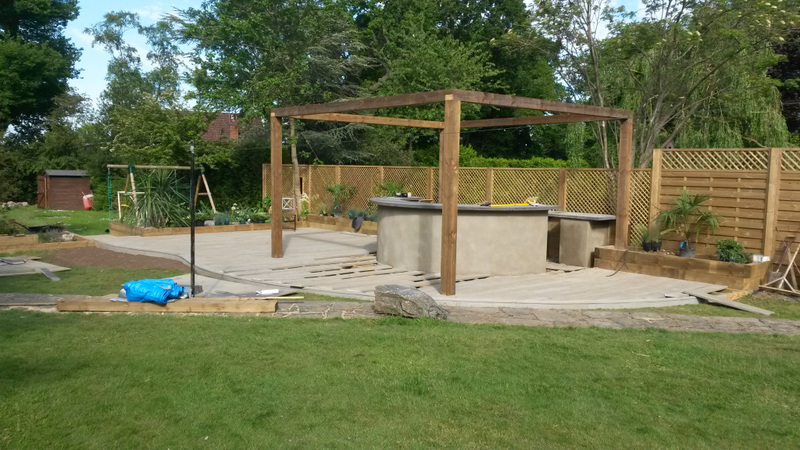 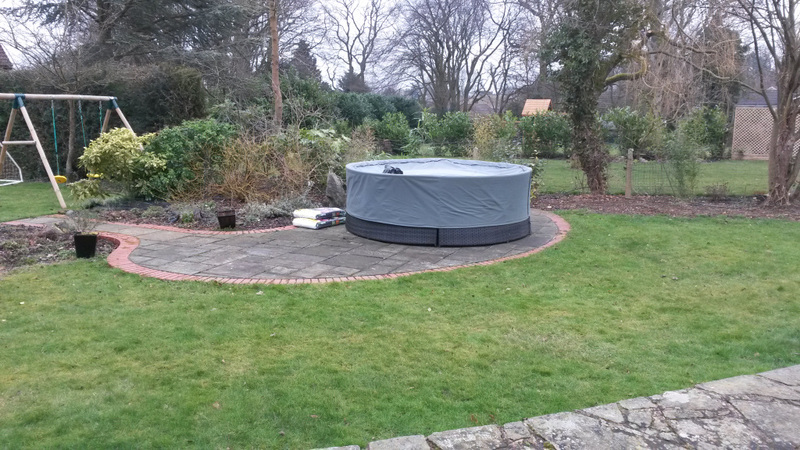 For more information on how we can create your own bespoke garden work surface please visit our Contact us page on this website or fill out one of our Online enquiries forms.